The world is heading toward a dangerous post-antibiotic era where antibiotics fail to treat infections. Staphylococcus aureus is the leading cause of healthcare-associated infections worldwide, and an ever-increasing percentage of them are methicillin-resistant (MRSA). New strategies are urgently needed to combat this pathogen. 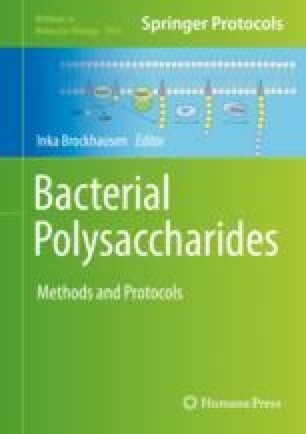 Wall teichoic acids (WTA) in S. aureus are polyribitol phosphate polymers that play important roles in virulence and resistance to β-lactam antibiotics. Here, we describe a high-throughput whole-cell screening platform for inhibitors targeting WTA biosynthesis. This platform takes advantage of the unique dispensability patterns of genes encoding WTA biosynthesis. We further describe follow-up dose-response assays to identify WTA inhibitors among the primary bioactives. WTA inhibitors offer an exciting opportunity for the development of novel antibacterial leads of unique mechanism in the fight against drug-resistant staphylococcal infections. The authors would like to thank Dr. Maya Farha for her critical reading of the manuscript. Wall teichoic acid related research in the authors’ laboratory was supported by grants from the Canadian Institutes of Health Research and from the Canadian glycomics network (GlycoNet) and a Tier I Canada Research Chair award to E.D.B. O.M.E. was supported by a Michael G. DeGroote Fellowship Award in Basic Biomedical Science.